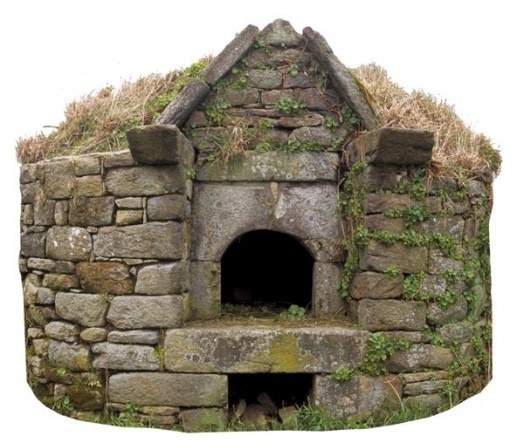 Although it doesn’t look much, this unprepossessing structure is actually a four à pain, or bread oven. It stands on the end of the boundary between our neighbour’s sister’s land, on the left in the picture, and our other piece of land, with our barn, on the right. We’d always assumed that it belonged to someone else and the estate agent we dealt with seemed to think it did, too. However, whilst we were clearing the area yesterday our neighbour passed by and we learned the truth about it. Yes, we now have our very own four à pain. It stands about 6 feet high and is circular with a diameter of about 10 feet. However, the domed roof has collapsed and the front stonework forming the doorway has gone, assuming it was there, although there’s an outside chance that it may all have fallen inside. We spent a while clearing the back of it this morning and revealed a wall made of thin stones, which makes sense as there are vast deposits of slate and other sedimentary rocks locally. Apart from the obvious differences in the building materials, it looks remarkably like the example shown above, with the remnants of a dome clearly visible, and the overall shape seeming to be a good match. Date wise I’m assuming that it’s contemporary with our house, which predates 1840 at least – if the Napoleonic cadastral plans are any guide. 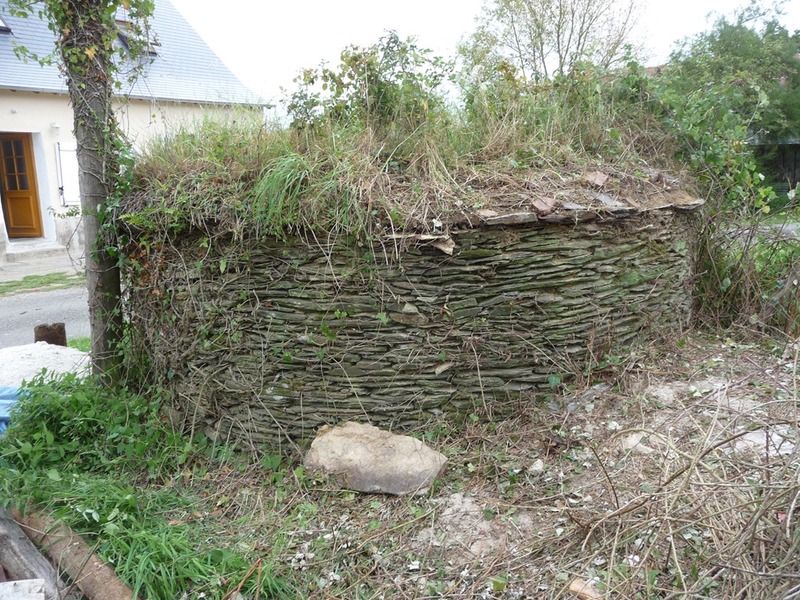 Our neighbours informed us that a M. Boulaye who lived in our house used to bake bread for the local people and as our house was the main dwelling in our lieu-dit then I’m making a guess that the bread oven has been here for a long time. The shape of it certainly looks like other 19th century examples I’ve found online. 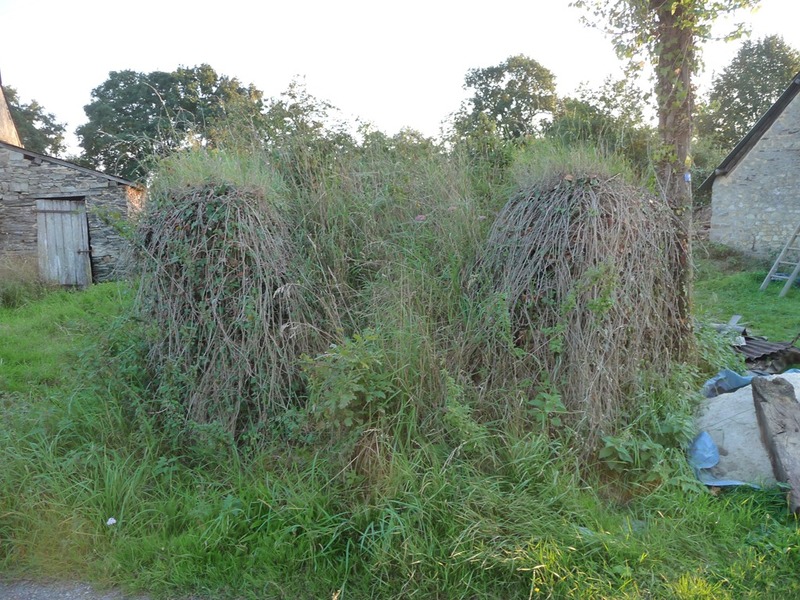 We plan to strip off all the brambles – evil, evil fuckers that’ll rip your arms to shreds – and the ivy and weeds and then have a dig about inside it. There may be some collapsed stones and who knows what else. At the very least, it should make a nice feature along the communal road here and possibly get planted up with something colourful – Ipomoea is the current favourite, although I fancy growing strawberries in it. Song of the day – Kevin Gilbert’s Toy Matinee with ‘Last Plane Out’. Great playing, vocals, composition, production…what’s not to like? I’m now cooking dinner – baked smoked gammon, Noirmoutier potatoes and haricots verts from our neighbours’ garden; all washed down with cheap rose.